We’re happy to accept beeswax in exchange for vouchers, cash, foundation sheets and credit vouchers. 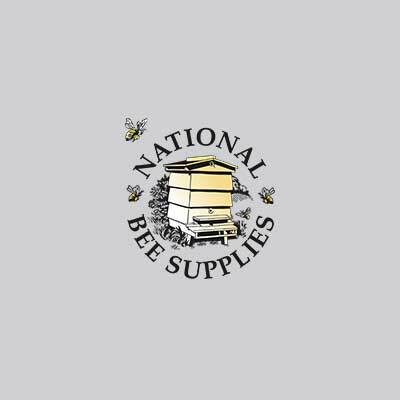 All you have to do is bring your clean, rendered beeswax to National Bee Supplies and choose what you’d like in exchange. A great chance to find a good home for your wax, as well as use your e-vouchers against your next purchase across 2 brands. How about adding that super you’ve been meaning to… or treating yourself to a brand new suit for the new season? You could even consider buying bee friendly seeds and plants to plant around your hives! But it doesn’t have to ‘beeeeee’ bee related, maybe a garden lounger is just the ticket! A little cold, hard cash is always helpful! You can come into store or at shows advertised on our website and simply just sell you wax directly to us, we will then give you cash there and then for it. We offer £1.50 per lb of your clean rendered wax. You can then spend in store or pop it in the piggy bank! If you need foundation every year, then why not give us your wax as part payment for your new foundation. It’s the perfect exchange and the perfect winter job - get all your frames ready now! Pop into store or come and see us at shows advertised on our website and swap your, rendered beeswax for sterilised wax foundation sheets. Please note that P&P charges will apply if you wish your foundation to be posted. 4Bank your wax with us for credit against our new sterilised wax foundation (Available from 2019). Maybe you don’t plan to build frames and store your foundation over the winter, we have an easy solution, bank your wax instead! When you are ready for new foundation you can use your saved credit from your rendered beeswax sold earlier in the year against sterilised wax foundation sheets. Where can you bring your wax? or come to our stand at the National Honey Show, BeeTradex or the BBKA Spring convention. What if my wax contains debris? Weight adjustments will be made to account for debris in the wax. We have purchased a new state of the art sterilisation tank. Our wax will be melted in this tank over a 24hour period together with the organic compound to eliminate bacteria, bee disease and dirt.